Buy one shoe, get one free! 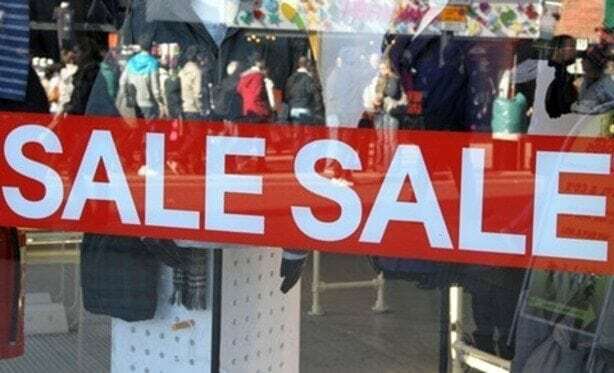 When is a sale not a sale? When it’s an event? When it’s a promotion? Or maybe when it’s a sample sale? Well, the sales are here at last (it must be at least three weeks since the last ones) and as I write the Harrods sale radio ad is booming out, “There is only one sale,” a campaign I worked on many years ago, before television was even invented. It probably hasn’t escaped your notice that sales are becoming longer, more frequent and trumpeting bigger and bigger discounts. They have also taken new forms in a never-ending attempt to divert your attention from the fact that they are offloading excess stock as if it were something on the bottom of their proverbial shoe. Don’t get me wrong – I’m in it up to my neck as well. I’m afraid it’s a roller coaster that never stops to let you off. The point is that the market ultimately decides what the retailer has to do to sell his wares and the more the market gets a taste for discounts, the more it requires them. Sales have been around as long as shops have. But then, a number of years ago, the big stores began to realise the earning potential of the sales and began making product specifically for them. Suddenly, the sales became the cornerstone of the season. Now we have mid-season sales, holiday sales, flash sales, sample sales, member’s events, designer sale and so on. I also detect that, for the first time, people who normally only shop during the main season are beginning to wait for the sales and I think I know why. My theory is that, in the past, if you had a shop in the High Street and you decided to start your sale, you put a sign in the window and whoever walked past and saw it might then have come in and bought something. You may also have had a modest mailing list of past customers that you informed by post and they too might have come in and bought something. It all worked but the potential to shift stuff was fairly limited. Now, however, e-tailers can tell the entire world when they have a sale and their reach is so enormous that they can shift massive amounts of stuff very quickly. As price is a key driver of online shopping, all it takes is a quick discount, a few ads on Google and hey presto: your warehouse manager is on Prozac. E-tailers can therefore manage their stock much more easily as they have a sharp and powerful tool to manage it with. They can also buy more at the beginning of the season because they know they can move it when they need to, so hey presto again: you have a new business model. To make sure it works, their merchandisers will pore over statistics that will tell them that if they only have a 42.35 per cent sell-through by 21 October, all it takes is a flash sale to get it to 48.92 per cent by month-end and then they are back on track. So yet another business model has been changed by the internet. But, as the old saying goes, it’s not a problem, it’s an opportunity. in fact, it’s good for the consumer, because he or she gets a better a deal, and ultimately it’s better for the brands, because their stock turns over more quickly, which itself brings opportunities. The only people who have to be careful are the High Street retailers, because they can’t move product as easily. Finally, this whole situation is part is part of much bigger shift that the internet is creating, in my view. It’s a shift towards a much faster-moving, more fluid model of product entering and exiting the market. I believe that, in a few years, new product will be introduced every couple of weeks instead of twice a season. People online shop a lot more regularly than they do in the High Street and they need to see new things when they do so. It’s a scary new world but one that is inevitable and will be better for everyone. I was initially worried by the increased frequency of sales, but as my wife reminds me when she returns from them, “Think of all the money we’re saving”. So now we have the online world creating regular sales and events to manage their stock, this clearly means that the High Street has to follow suit. Otherwise they will be left with a stockroom full of woolly jumpers in May.